Two is always better than one-- as in monk straps. 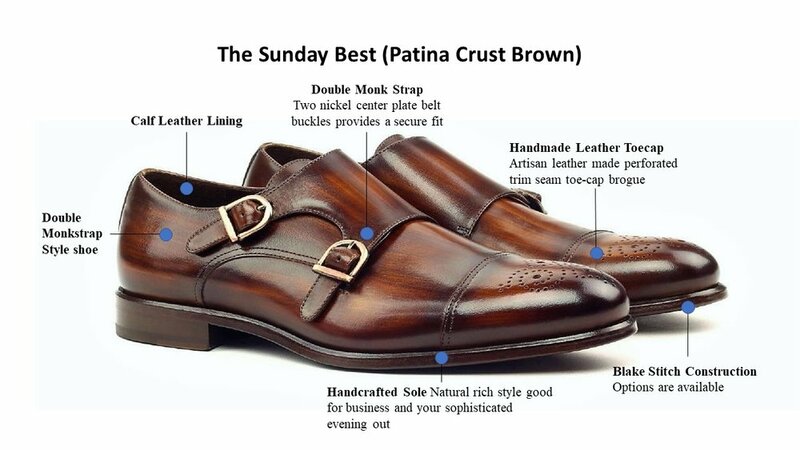 The duo strap and cap-toe add an extra detail not just for Sunday services but every day of the week. This is a wardrobe staple in a choice of many rich shades--black leather, denim and our newest edition with patina crust brown. Buy online or test your creative skills and design your masterpiece. Buy online or click to our Design Lab.